It’s a good thing my kids didn’t have that thinking. They love the beach, they love water. I once heard my son ask his dad, “Can we just live here so we can play all day in the water? Or can we have a house with a pool?” lol. If it doesn’t cost that much I would personally say yes. 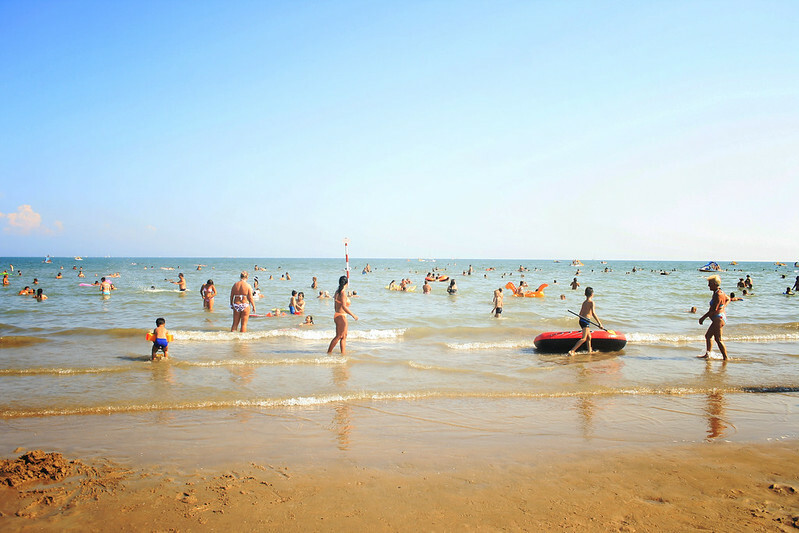 Oh, these photos were taken at Lignano, a town in Norther Italy, about 7 hours away from Vienna. The travel itself is really interesting—I get to take drive by photos of the country scenery and I get to sleep an hour or two. lol. 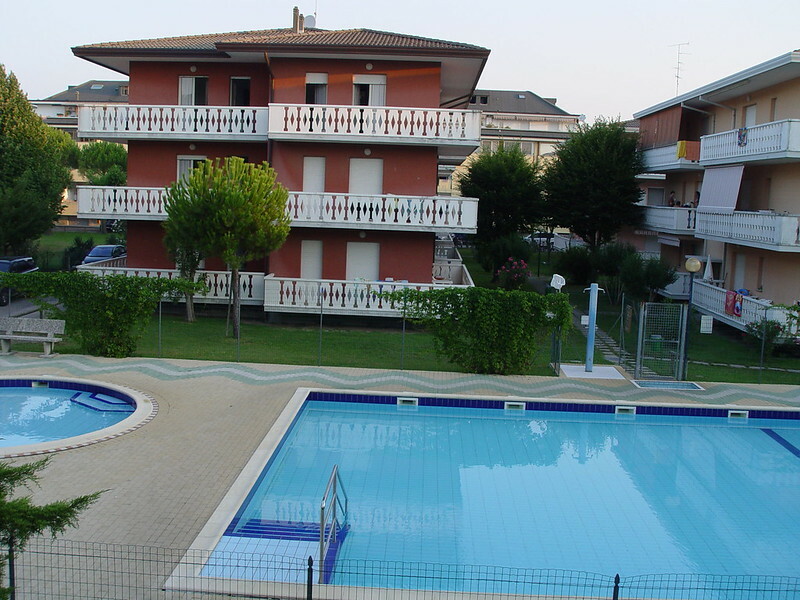 We stayed at an apartment for short-term accommodations – transient – which I wrote about here. Since it’s indeed summer, it’s time again to go and explore the beaches, if not then we plan on staying in Germany for a week or two. My mom-in-law lives in Nürnberg so we can stay there like before and explore the enchanting city. Hubby and I would also like to have some “us” time so I’ve been scouting online for short-term rentals in Berlin. We plan to take down what remains of the wall. Kidding aside, we plan on going about the city and of course see the historical wall. I have been to many websites – I can say that each are the same until I stumbled on Roomorama. I like the photos they provided on the website – up to date and just by looking you’ll know they are scouring for the best rooms, apartments for their customers. I was so impressed at how La Carmina reviewed the place they stayed at once which was booked via Roomorama. There were pictures – flat screen TV, DVD Player and a cabinet that seems to fit a lot of stuff! I suggest you see for yourself what she posted and I’m sure you’d be convinced to book your next apartment rental at Roomorama. Check out this vid I got from their site. Untitled from Roomorama on Vimeo. Well, how about a really neat apartment by the beach, with a view of a romantic sunset from the window? We have the same thinking as your son. If it’s just me, I would be living near the beach. But unfortunately our livelihood requires us to live in the city. From the looks of things, I’d say everyone had a great time! I would love to live by the water – which in these parts, takes a real lot of $ or €, more that is affordable. Yet, at least a vacation near the water gets us in the mood for fun. The kids that is – Patti and I prefer to sit under an umbrella near the beach, craving not the sun but the breezes from off the water. However, when i was way younger, family vacations were often at a place called Brigantine on the New Jersey shore. Yes, the beach is where our memories start! I’ve been to Lignano, and I agree with your children; I’d rather stay there. The climate is superb, the food, not to talk of the ice cream is prima, and the people are so friendly. I’d go back to Italy tomorrow if I could. I can see that the kids are having fun…. visiting from my beach fav. I, on the other hand, would not like to live near the beach hehehe, but would love to have a est house by the beach… anyways, your kids looks like they really had a ton of fun! visiting from TT! I have used roomorama before, no surprise that la carmina wrote wonderful things about them. i have been introducing roomorama to my family and friends, it’s a great way to find a place to stay when traveling. much cheaper than a hotel and you get great tips from your host AND a much better deal with much more space. im going to bali this december and i cant wait already, just look at the amazing villas that roomorama has on their site! ah…the beach. i miss the beaches of hawaii. how i wish i could go home. Looks like a fun day at the beach! I have tried Roomorama too and I am definitely a fan. A lot of times you can find really great places for cheap too! Thanks for adding mine See ya! I love to go to the beach but don’t love to stay long, esp when it’s hot. I love to just lie down and read on the beach. So relaxing. Thanks for joining last week’s meme. hmm.. not sure whether my previous comment got it… but wanna say this again in case it didn’t. just thought i give you guys a heads up. i didnt see this post before i went to singapore and stayed with roomorama. to my surprise, they were on the front page in the newspaper while i was in singapore, it was so cool! the place we stayed at was really really convenient to everything, although singapore generally has a great transport system in place already. this experience was so good, i didnt pay as much as i would have for a hotel in singapore. encourage all u travellers who want to save some $$ to try roomorama out! wow ang layo ng byahe ninyo ha… pero nag enjoy yung mga kids that good!!! waaah they look so cute playing under the sun!!!! 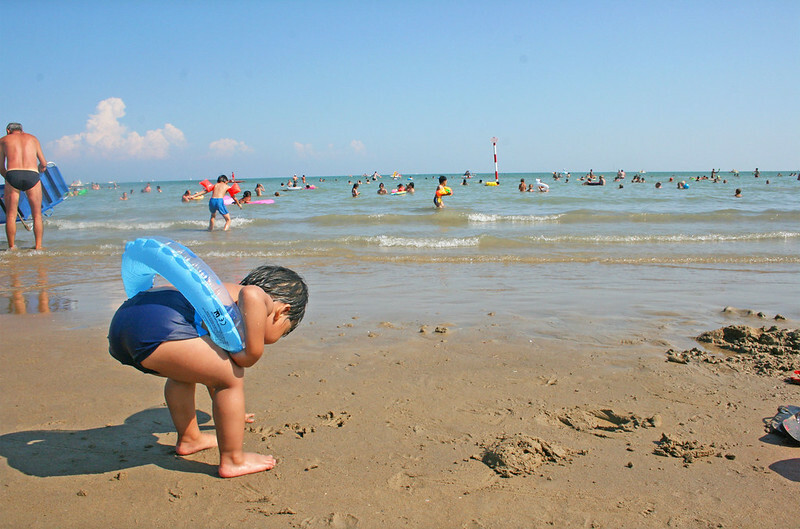 I wish I am a good swimmer so that I can enjoy the beach even more especially that it’s summer here. This is lovely, It looks like the kids really had a great time. You are so fortunate to be able to travel to different places. Please continue to write entertaining posts. I also have this dream in retiring in a beach side….actualy I dont know if this will be realized since prices of lots fronting beaches has now sky rocketed. But for now that we cannot afford it no matter how hard we work, I must be content in visiting the beach once a year – every summer. Beautiful beach. I would love to live near a beach too!